February | 2019 | Curiousity? 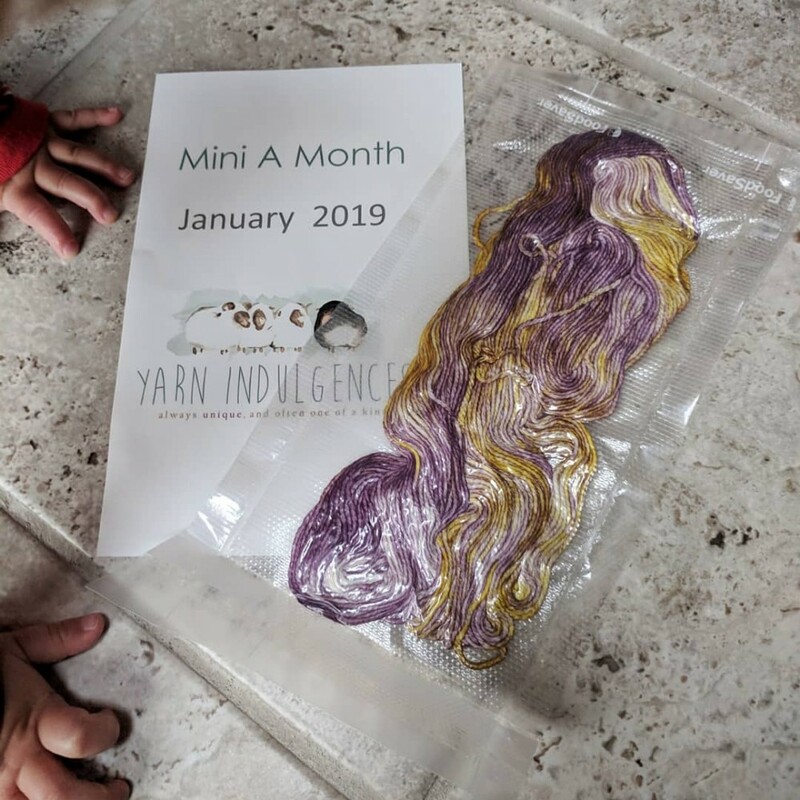 Yarn Indulgences mini a month subscription! 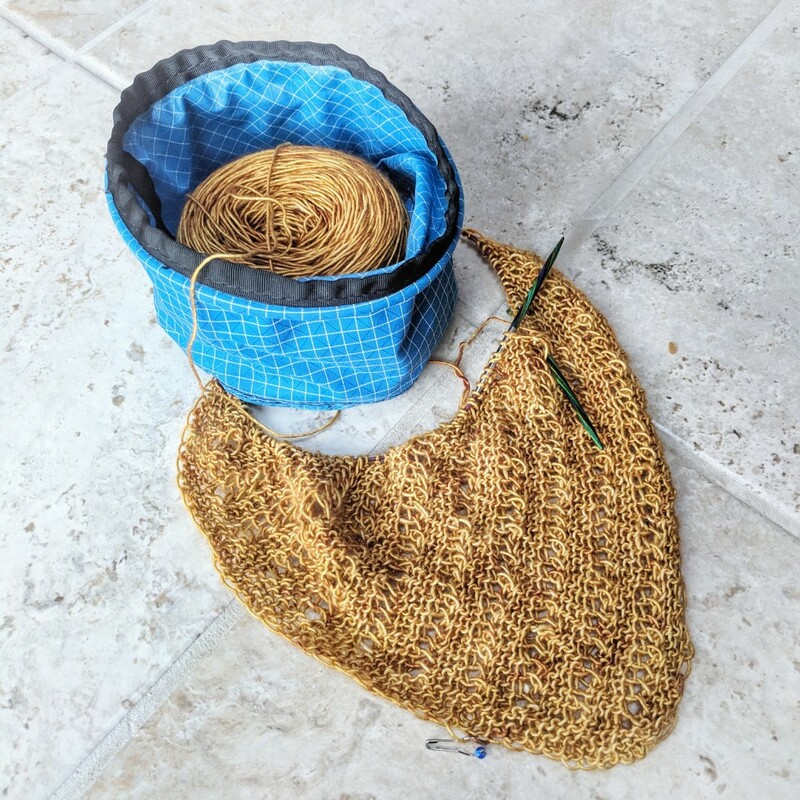 I had a great time with last year’s Tosh Shawl Club yarn subscription from Jimmy Beans, but decided to try something new this year rather than renewing. Opening it up showed what I expected from the form factor: vacuum sealed yarn. How clever! I figure that’s how they can afford to send me posh yarn from Ontario for only $10. Shipping cost $1.80! I don’t know why January’s came near the end of February — I’m guessing it’s when it was dyed as opposed to when I get it? It puffs up perfectly once opened and inside is some really soft hand-dyed cashmere/merino/nylon. I can’t wait to try it out! I’m thinking maybe some stained glass style colourwork in a hat? Maybe wait to see if it goes with next month’s mini? I don’t know but I’m going to pare down my active projects a bit first. I gather they will rotate bases so I’ll get to try out their other options. This is great, since I sat in their booth at the yarn show we went to in Quebec and suffered such decision paralysis that I wound up not buying anything! 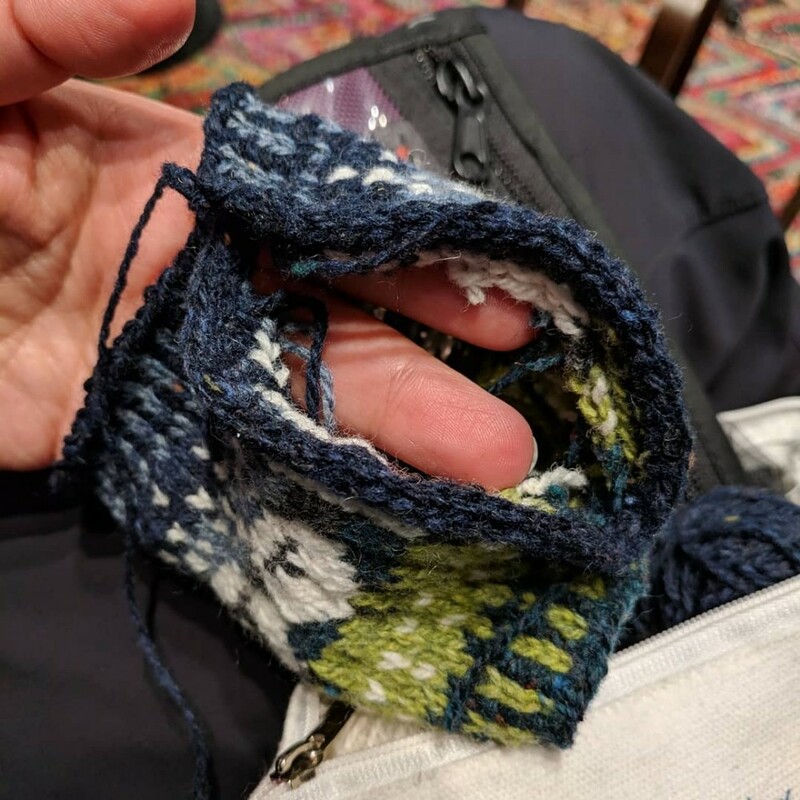 Well, it wasn’t just decision paralysis; I also had to limit my shopping so it would fit in my luggage and I’d already fallen in love with some other yarn in another booth, but if I’d made a decision I would have been able to fit a mini! 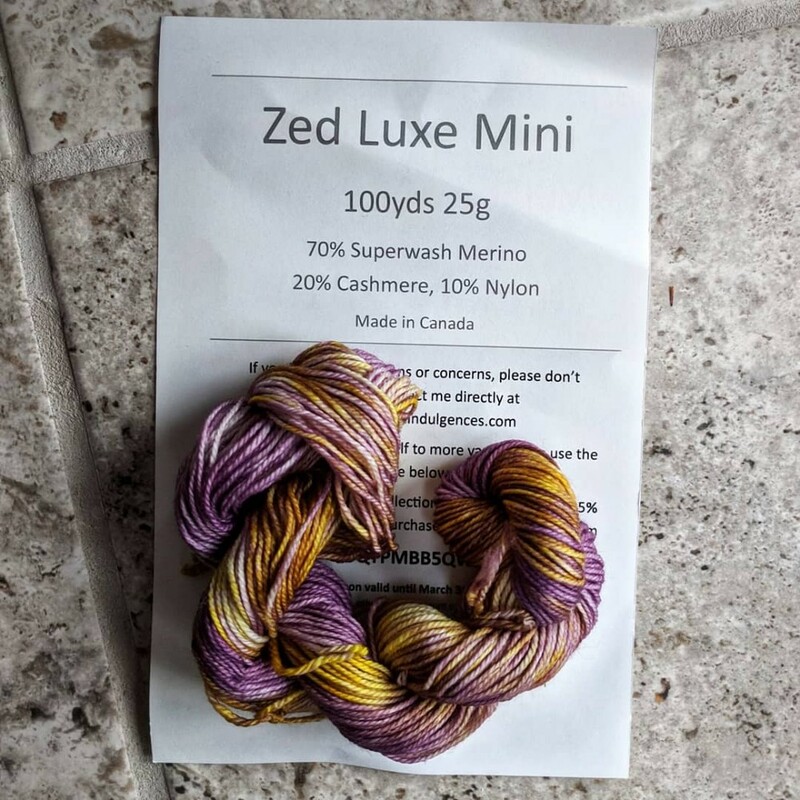 One of the reasons I decided not to do the Tosh Shawl Club again is that I was tired of the single ply Tosh Merino Light, though, so I’m excited that my first package isn’t single ply as well as that it’s super extra squishy and wonderful. Yarn of the month: 2-3 swatch sized samples (maybe 20 yds each for a total around 40-80 yards? ), Swatch patterns, one full sized pattern. Huge variety of yarns many of which I’ve not seen elsewhere. Jimmy Beans beanie bags: 3-4 swatch-sized samples (so around 60-80 yards total? 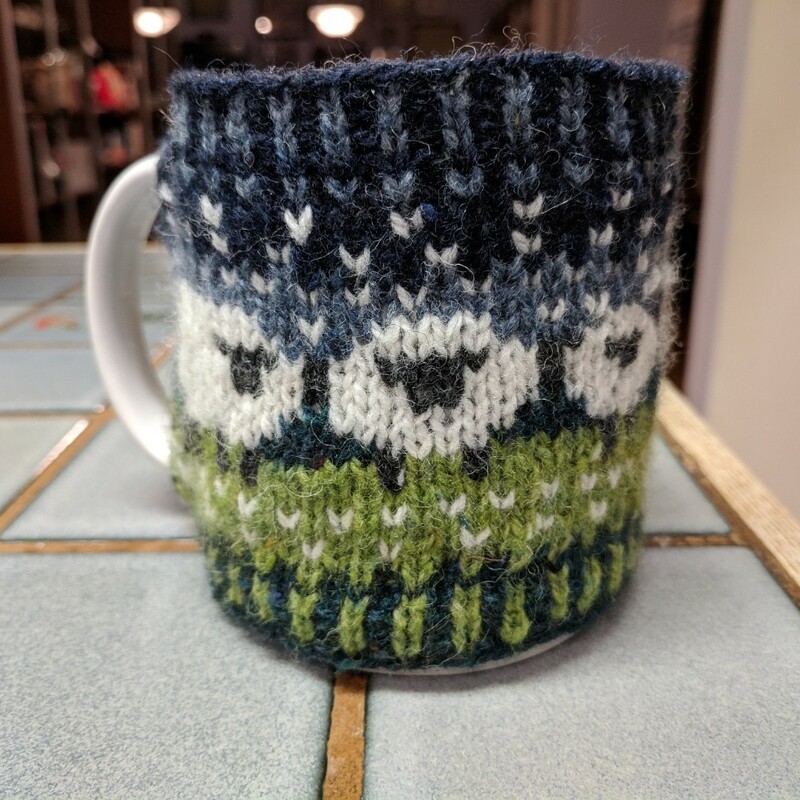 ), small project pattern for actual yarn (knit+crochet options, typically coffee cup cozy sized). Reusable zippered pouch. Small notion (eg, ruler, yarn needle). 5% back every quarter, so the $10/month is sort of $9.50. More familiar yarn brands. Jimmy Beans Tosh Shawl Club: 80 yards of Tosh Merino Light (single ply, hand dyed, exclusive), year long mystery shawl pattern to go with yarn. Same deal with the cashback. No extras, though their cardboard shipping boxes are solid enough that we’re reusing them for small electronics projects. 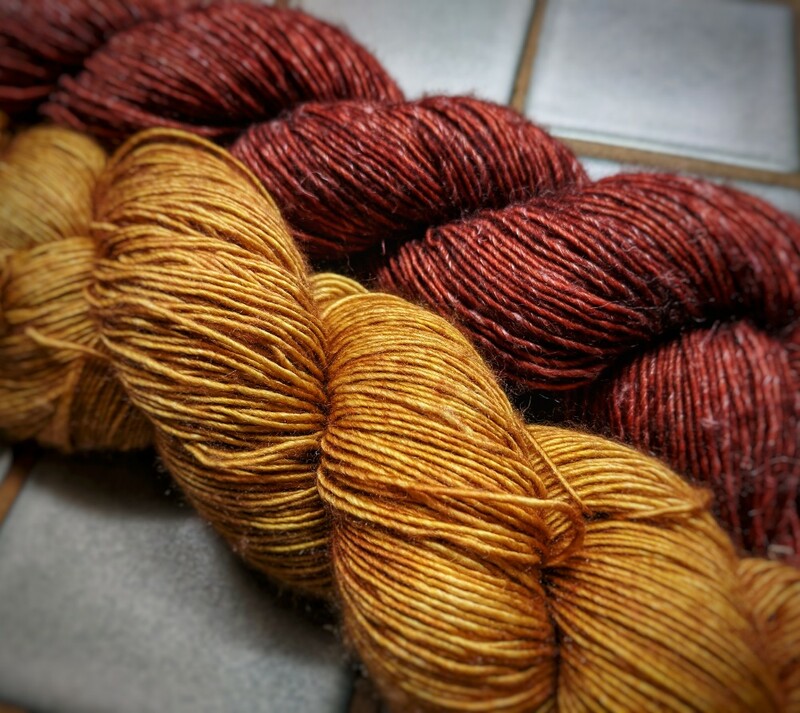 Yarn Indulgences mini-a-month: 100 yards hand dyed on their different bases, which look pretty nice! No pattern, no regular extras. (They say they might do that occasionally.) $10/month but prepaid subscriptions get a discount, so I got a year’s worth for $110, equivalent to $9.17/box. Each one has its strengths, but this new one definitely wins for most yarn! 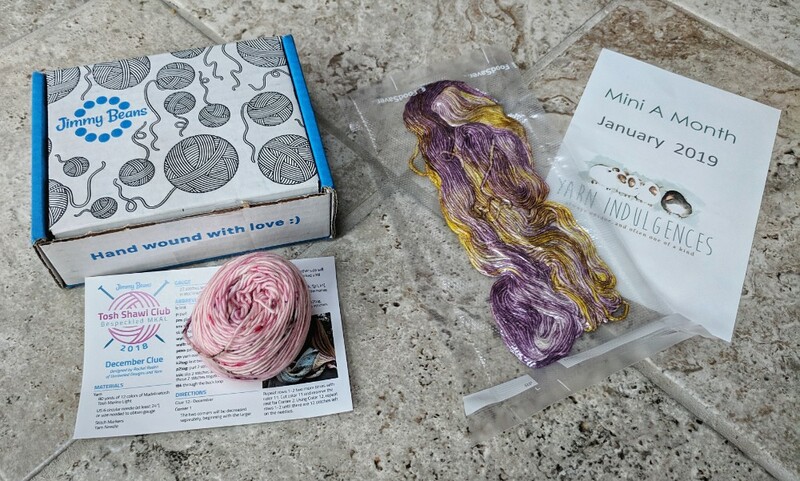 This is what i wanted because I’m hoping to spark some creativity with mini skeins and maybe do some pattern creation over the year. Posted in yarn, yarn indulgences club, yarn subscription. 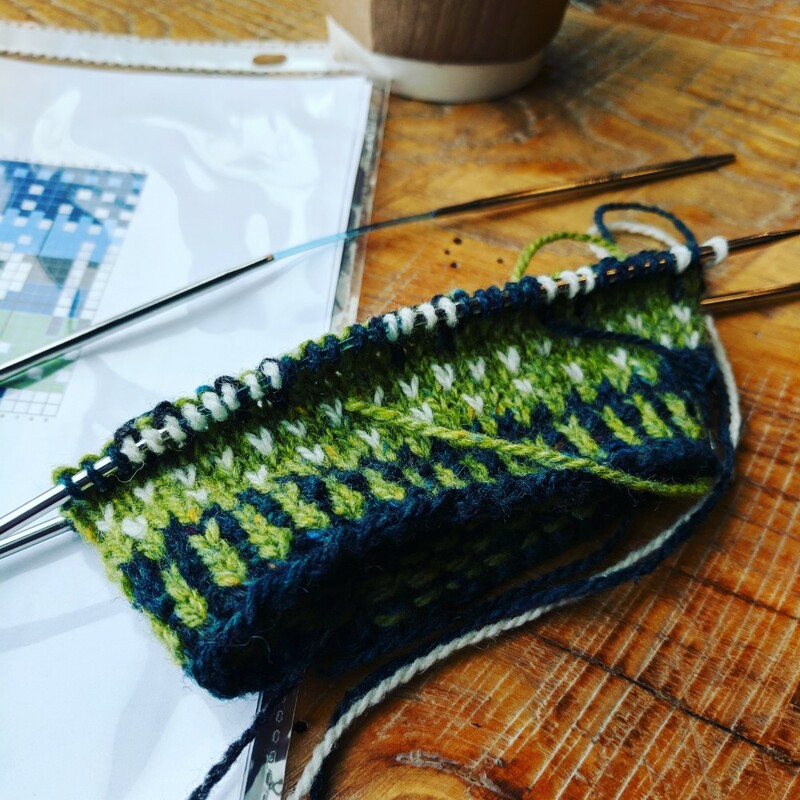 I’m not what one would call a monogamous knitter: that is, I don’t do one project at a time. 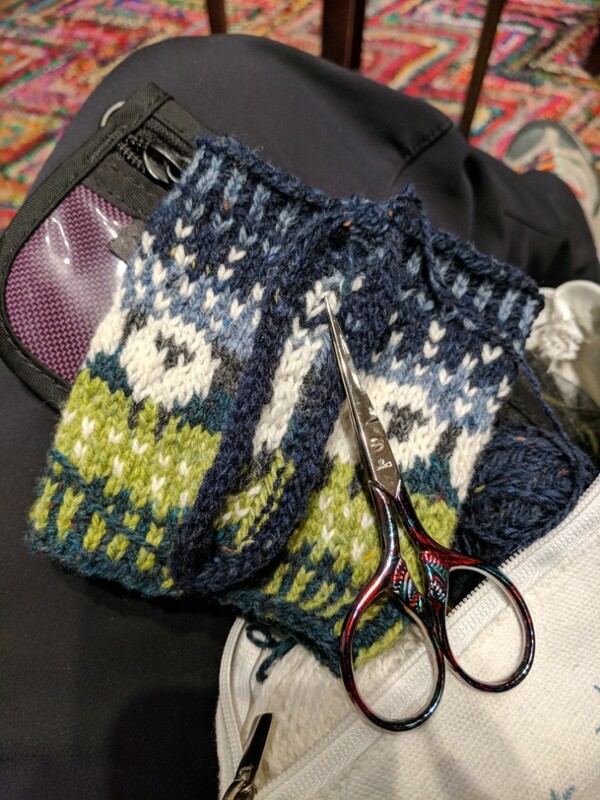 But things have gotten a little out of hand because I start a new project with every trip, and I’ve had a lot of trips since the fall with not enough time in between to finish things. So my normal “one bigger/more challenging at home, one for in my purse” has ballooned to… I don’t know, maybe 7-9 projects? 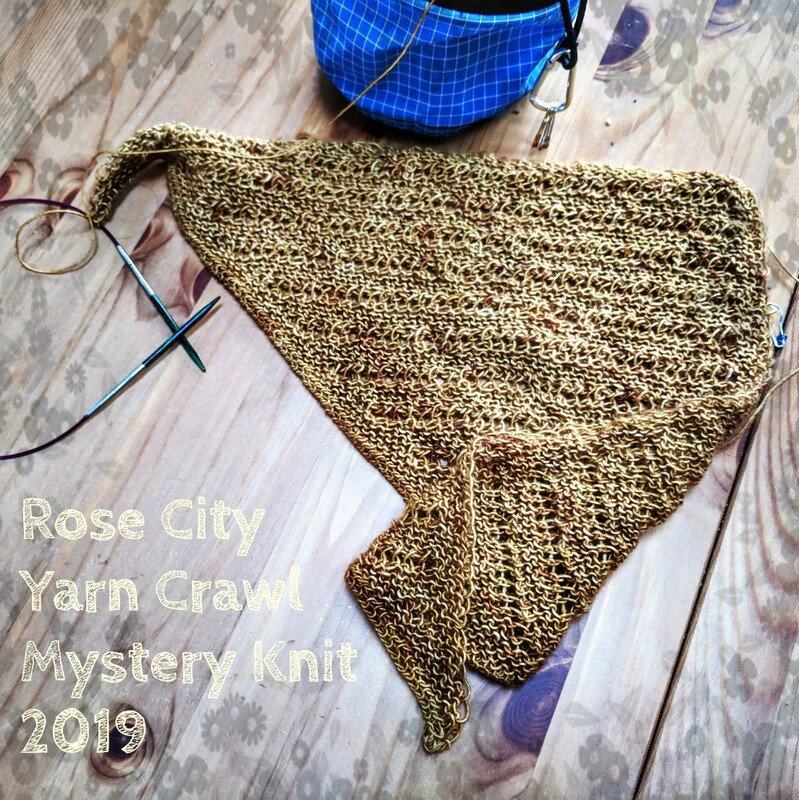 It’s a bit silly of me to start a mystery knit a long, especially when I’m probably not even going to get to do the full yarn crawl this year (J is traveling, my friend who usually comes down to visit can’t make it this year, and I’m not up to toddler wrangling through 11 incredibly busy stores on my own. I’m planning maybe 2-3?). 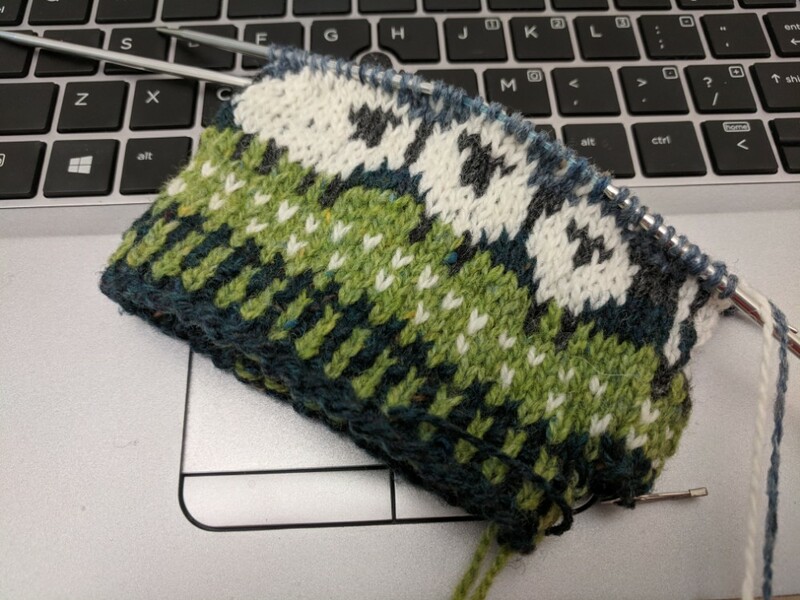 But I was watching from afar (literally: reading the Ravelry threads from New Zealand) and people were saying that this year’s knit was challenging and had unusual construction, and I was curious enough to try. The gold colour is what I chose for colour 1. 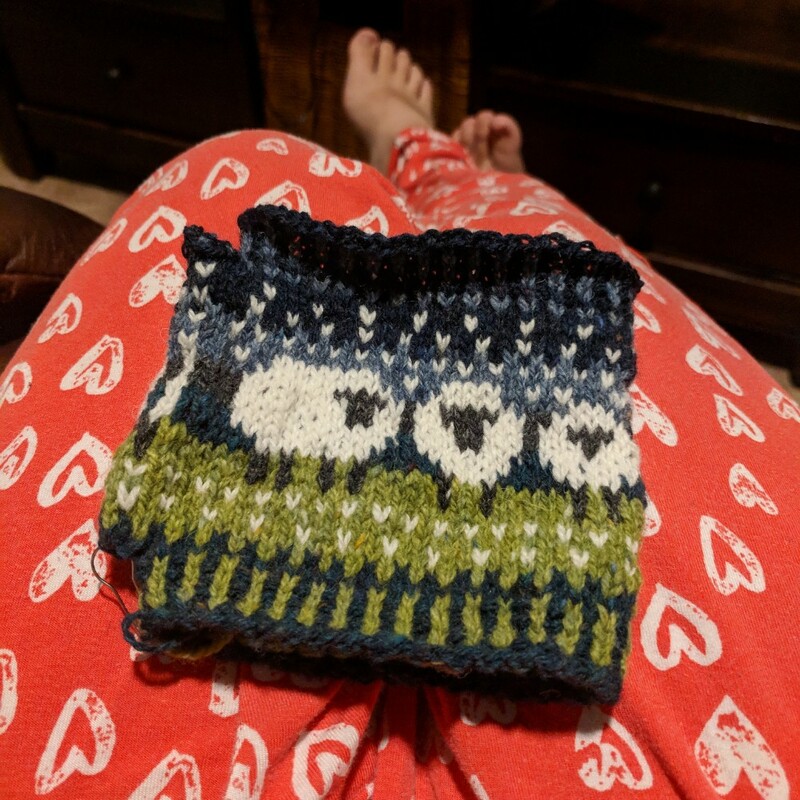 I love this yarn so much. This was an impulse buy at Knotty Lamb maybe during last year’s crawl, and it’s from Farmer’s Daughter yarns. Colour 2 is Madeline Tosh and I might not have enough of it, but I liked the two together so much that if i have to bind off in colour 1 to make this work, so be it. I picked up that one at I think Knit Purl (now closed) a few years ago in the crawl. As promised, some interesting construction. Can you see the yarn overs at the edges? 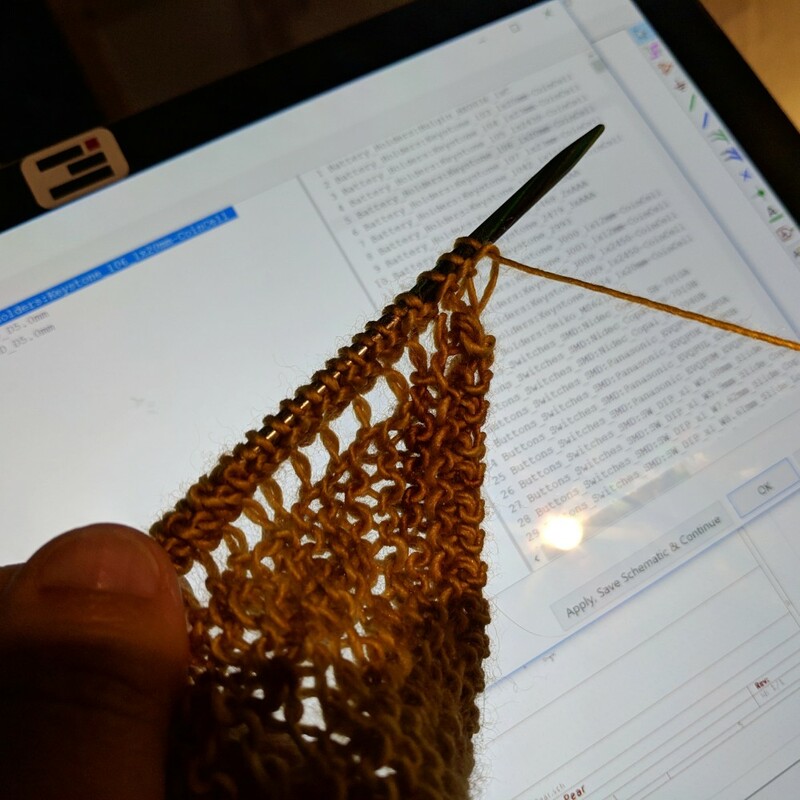 I’d never done a “reverse” icord bind off! And then on to picking back up for clue 2… Clue 3 is already out, so I’m quite behind! But, life, toddler, and if you look in the back of that photo, I’m learning pcb design too. Sometimes the must amazing thing about being an adult is that I hardly ever have to be bored! Posted in knitting, sewing, yarn.